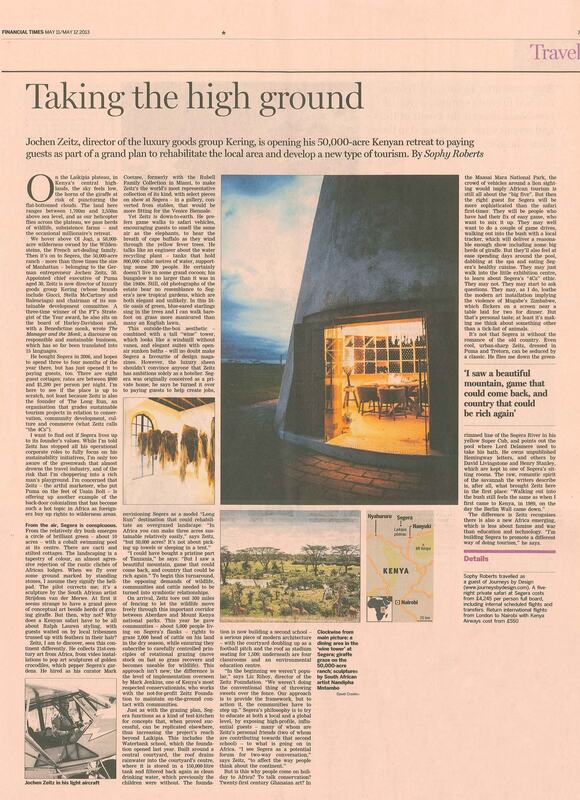 Sophy Roberts visits Northern Kenya’s Segera Retreat in the Laikipian Plateau. 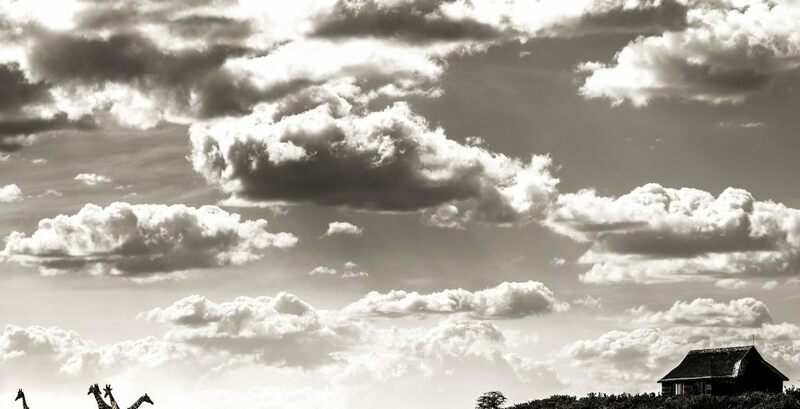 Sophy’s report is a commentary on not only the landscape and wildlife of Laikipia, but the ethics and principals by which Jochen Zeitz manages Segera by. Appointed CEO of Puma at 30, Zeitz later paired up with a benedictine monk to write a best-selling book on responsible business, which has translated into 15 languages. And then about Segera: with a formidable collection of 21-century art and lawns ‘more manicured than many an English lawn’, Segera is an oasis of green within the haphazard cacophony of colour that makes up the Laikipian Plateau. Segera is for someone beyond wildlife drives, the big five and everything encompassed within the excitement of a first-time safari; whilst wildlife drives and the occasional bush walk with a private tracker are certainly options, Segera is for someone who is content to sit by the pool and talk conservation or 21st century Ghanaian artwork. If you’re interested in travelling to Segera in Laikipia, please do get in touch with one of our destination specialists who would be happy to begin tailoring your safari.